Thoroughbred racing is the most exhilarating sport on Earth. Thoroughbred sales, contrary to popular belief, are far more than a shopping excursion. A night at the Fasig-Tipton Yearling Sales is the most stimulating, blood-pumping and intriguing night one can experience this side of the Casbah. Fasig-Tipton, the world-renowned equine auction house, presented two days of spectacular racing at Saratoga Race Course the weekend of August 8th and 9th. This weekend was a brilliant way to highlight the natural relationship between the two industries: after horses are created, they are sold at auction at age one. At age two, those horses may be in training, and end up racing just down the street from the sales facility where they first made their debut. The Festival of Racing, presented by Fasig-Tipton and NYRA, was the first-ever wed-ding of these two facets of the sport–a brilliant idea, and a spectacularly successful weekend. The weekend of racing built up the excitement, and that wild enthusiasm culminated in the two days of the Fasig-Tipton Selected Yearling Sales on Monday night, August 10th and Tuesday night, the 11th. The renewed Fasig-Tipton facilities wed form to function in a fashion that is heretofore unknown in the world of equine sales. The beautiful new buildings and rejuvenated grounds sparkle under the best-possible, exquisitely-engineered, non-invasive lighting. The horses shine as never before as they make their debuts ‘neath copper roofs in freshly-painted walking rings, their juvenile hooves treading gently on a bed of rubber “cobblestone” walkways. As was reported first in Saratoga TODAY newspaper in March, Fasig-Tipton, aimed to create in Saratoga Springs a facility unlike any other on the planet. In the effort to make the Saratoga property a truly-world-class, welcoming and gracious environment, they gave to the city and the industry a space that is not only functionally far superior to the previous incarnation–they conjured an atmosphere that is reminiscent of a Peter Lorrey film. The first night of the Yearling Sales was electric with anticipation as patrons and rubberneckers alike breathlessly took in the lush Boston ferns; fresh, green barns; new walking ring; second-floor lounge and waterwall which seemingly flowed from the feet of elegant patrons. The lighting was perfect, the result of studying the psychology of appropriate lighting for every square foot of the buildings and grounds. The Adirondack skies reflected back the light of equine and human stars on East Avenue. The wonderment of this amusement park for horselovers and the uber-rich inspired the question: how could a place to serene and quiet in its design could generate enough watts to light up Giants’ Stadium? Convening with friends was as easy as in previous years: the patio remains essentially the same. The tables and chairs provided for those not in the sales pavilion are consistently beautiful, comfortable and convenient, and easily accessible to those who desire to dine al fresco. Man O’War, the five-star dining gift to the community, is elegant, crisp and surprisingly intimate. Some things will never change about yearling sales, regardless of the location or ambience: the baby horses will always endear hearts with their baby whinneys. The khaki-clad grooms who work for the consignors will always look back twenty years hence to reminisce about how they came up through the ranks. The auctioneer will always confuse newbies with his lightning-fast recitation of prices, and buyers and sellers will never breathe until they have achieved the purchase of The Horse, and shut the door on the trailer containing their million-dollar babies. The first night of the 2009 sales was alive with anticipation, as patrons of all stripes buzzed about the gorgeous work that had been done in so short a time. The fascination with the achievements of Synergy Investments, Ltd as the new owners of Fasig-Tipton dissolved quickly as the first year-old Thoroughbred took the stage in the Humphrey S. Finney Pavilion on the expanded and beautiful new stage. Bernardini was the hot property sire, as his progeny–especially the fillies–got the highest prices. 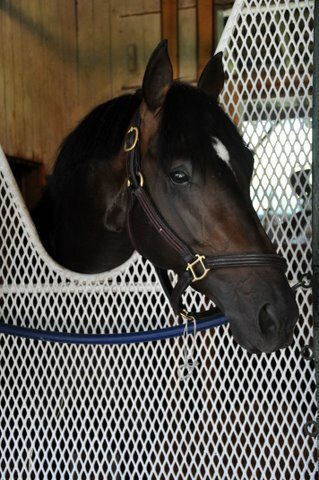 In grocery terms, Bernardini babies were flying off the shelves at prices such as $1.2 million and $1.4 million. In an age when “recession” as keyword has plagued many hearts and minds, there was no sign of an economic downturn at the Fasig-Tipton facility on East Avenue on August 10, 2009. If horse sales are any indication of the state of the economy–then the American financial stage is about to host a major upswing. A Setting Fit for Royalty. Really. Saratoga Springs offers more than any other small city in the nation, and on that first night of the Fasig-Tipton Selected Yearling Sales–the city played host to some of the world’s wealthiest people; most prolific business minds; celebrities and Kentucky gentlemen of great grace and style. Celebrity chef, Bobby Flay, was in the center of the walking ring, cheek-to-jowl with Vanderbilts and–the highlight of the evening–the man whose contributions to our city are beyond description or understanding of depth. 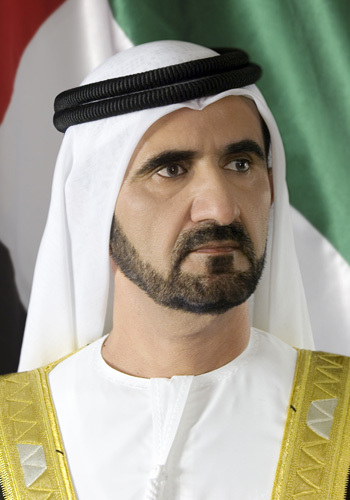 His Highness Sheikh Mohammed bin Rashid Al Maktoum, the Ruler of Dubai–and dedicated horseman, brilliant businessman, visionary and poet–was on-hand to buy a few horses, reacquaint with colleagues and, surprisingly, blend in with the crowd. Clad in a white shirt, light blue jeans and dark blue sneakers, His Highness was testimony to the fact that the truly powerful don’t have the need to display all they own. While the nouveau riche are compelled to wear every diamond and designer in their wardrobe, simultaneously–creating visual cacophony–one of the most powerful men on Earth was moving through the crowd in comfortable clothes, laughter and the air of one who feels no need to flaunt his wealth. There are so many reasons to respect His Highness: his laid-back presence at the Sales added more fuel to my admiration. If Monday the 10th was a sign that the recession is over and that Americans–at least in Saratoga–can exhale. Horses played an irreplaceable role in the forging of America and the culture thereof. Once again, the horses are leading the way, pointing toward economic growth; renewed spirit and encouragement for anyone within the glow of their sparkling coats. Previous Article Women + Thoroughbreds = Power: Women’s Day, 2009. 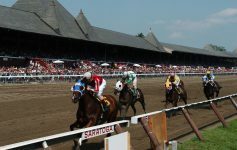 Next Article Going to the Races in Saratoga: What’s YOUR Experience?